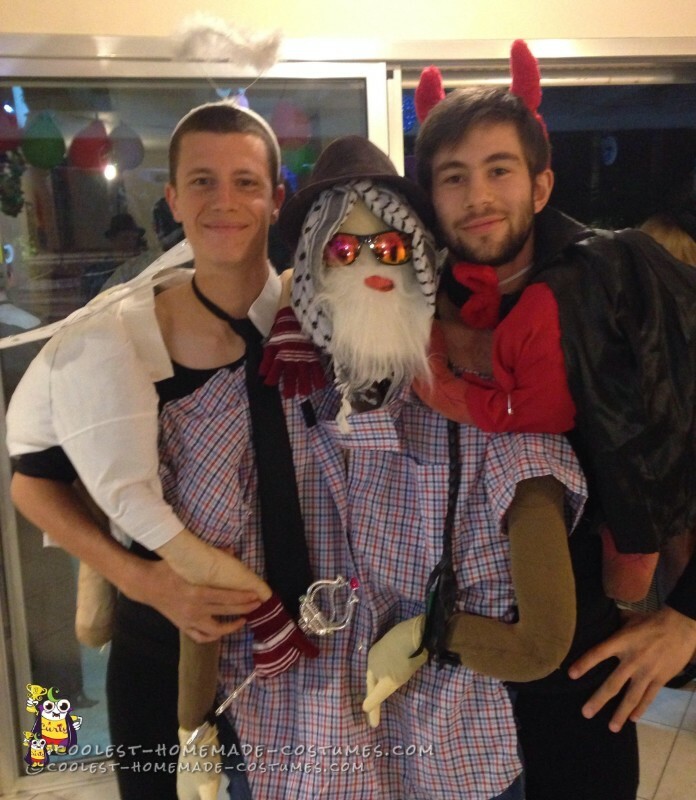 This conscience good vs evil costume is the best couple’s costume idea and was made for a Purim costume party. It took nearly 24 hours to make with a joint effort of 2 people. Obviously, it won the costume competition’s 1st place standing. 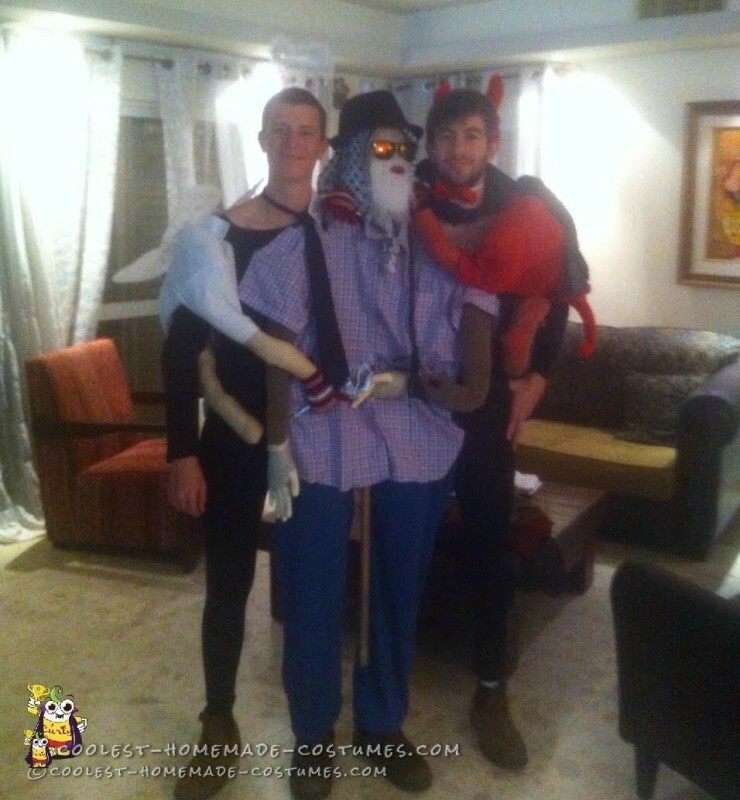 We’ve never heard of this kind of idea before so our costume is a one of a kind. The accessories we used are: 25 security pins for each and every one of the items we wore. The angel and the devil were made out of old socks, old shirts and lots of lots of glue. One of the hardest things was gluing all of the items together. The way we made this costume might be not the most effective way but we didn’t have much time to buy the materials we needed and to plan our costume in the most practical and efficient way. In the middle of the angel and the devil stood a doll in an image of a man wearing a brown hat. Making this doll took the most time, but it was crucial for the success of our costume. The doll was made out of a broom stick we found at home, an old sock which we found home too, a used pillow, a black and white scarf we found at home, sunglasses and many other old clothes we found and attached to it. For the devil costume we used a red shirt and pants and we covered them with red and black cloak. We bought the devil’s ears and tail from the costume store near our house. We then added the red cloth on the ears with fabric glue. We added a halo on the angel. We were the biggest hit at the costume party! This was an unforgettable costume and an incredible holiday. Hope you like this costume too.